Seat Size: SELECTClassic Seat Size: 15" x 15"Classic Plus Seat Size: 17" x 17"
Unlike conventional seating that forces your spine into a compressed "C" shape, the Bambach maintains your spine in its natural "S" shape. 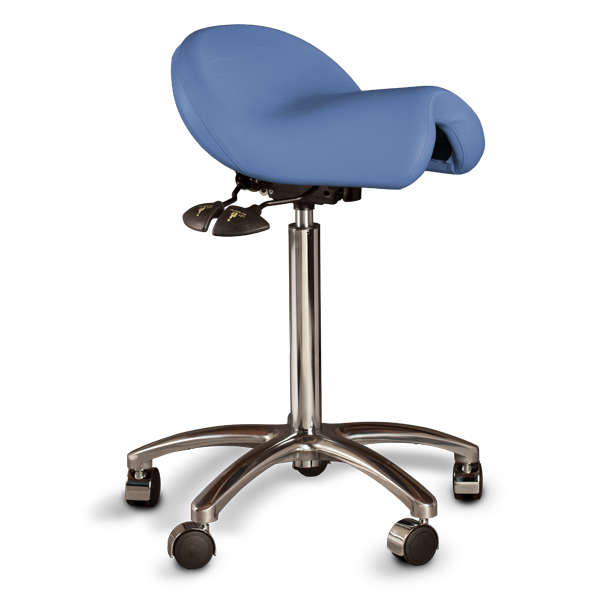 This means you can treat patients from a variety of positions and angles – while always keeping perfect sitting posture. Say good-bye to your neck and backpain! Over 50,000 dentists enjoy Bambachs worldwide. 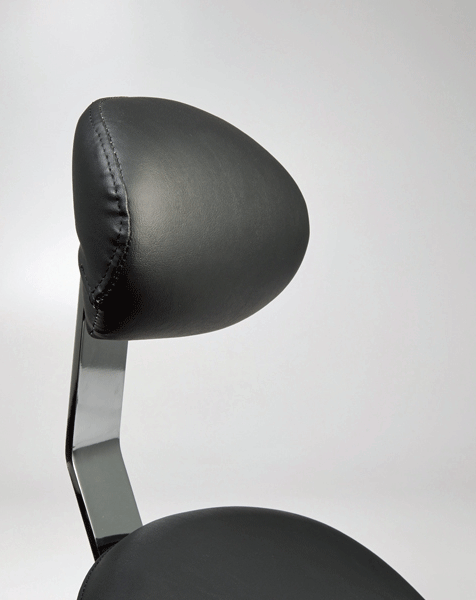 Created by Australian occupational therapist Mary Gale, the Bambach was the worlds first ergonomic saddle seat. 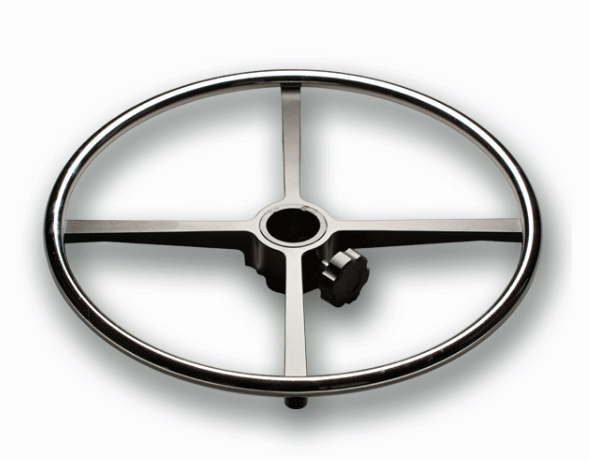 Years of research and development went into the design to ensure dental professionals can practice pain-free. No two individuals are identical. 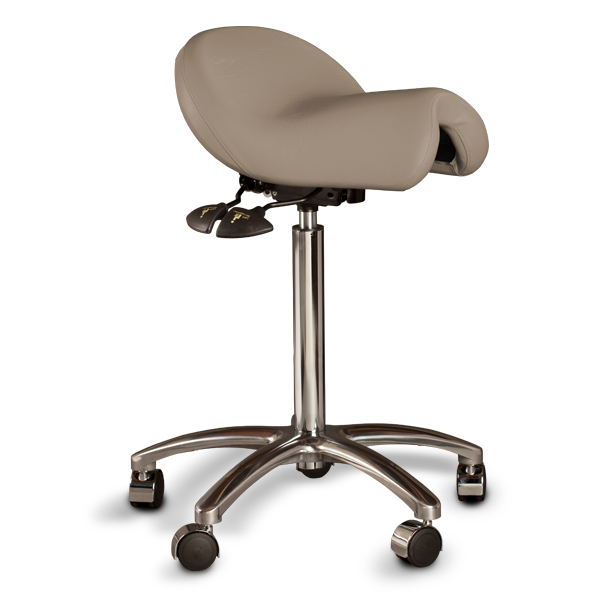 So every Bambach Saddle Seat is customized to fit the user's body type, work environment and even decor. 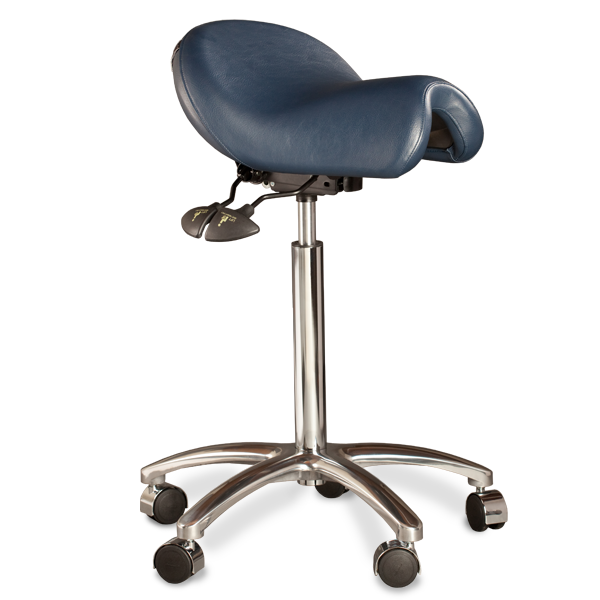 1 Choose a saddle seat: Two options — standard and large seats — provide a tailored fit for a variety of body types. 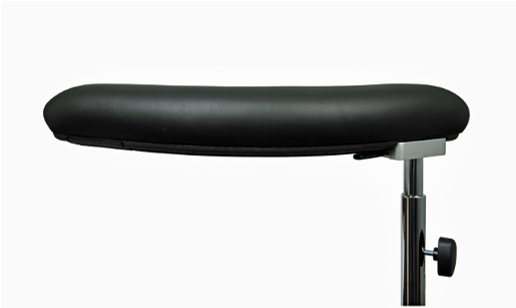 2 Select the proper height: Users can choose from three different stem lengths: short, under 63 inches (160 cm); medium, 63 to 72 inches (160 – 180 cm); and tall, over 72 inches (180 cm). 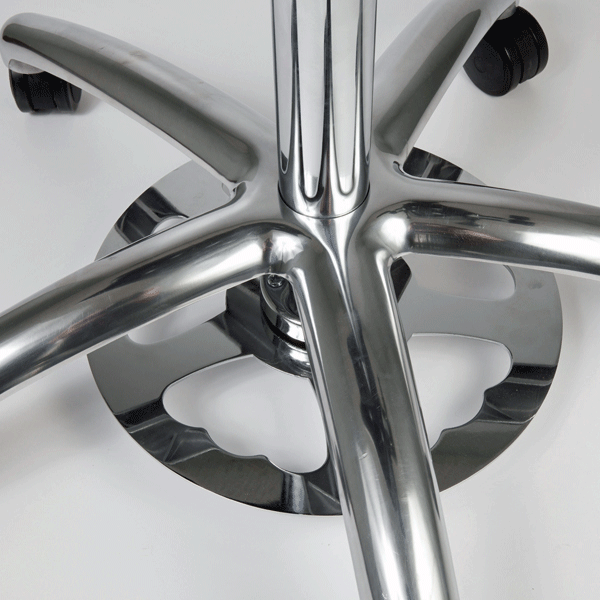 3 Pick a caster type: The Bambach Saddle Seat has a variety of caster options for different work environments. 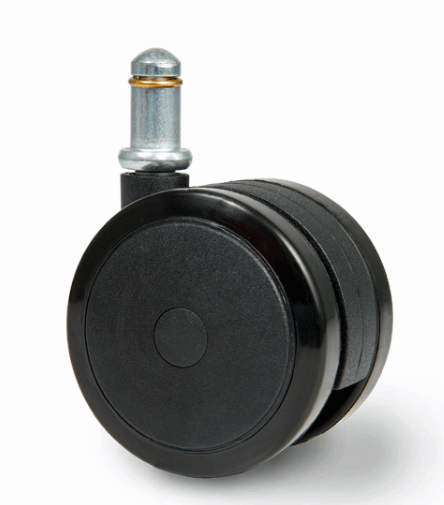 Select from casters designed for hard or soft surfaces. 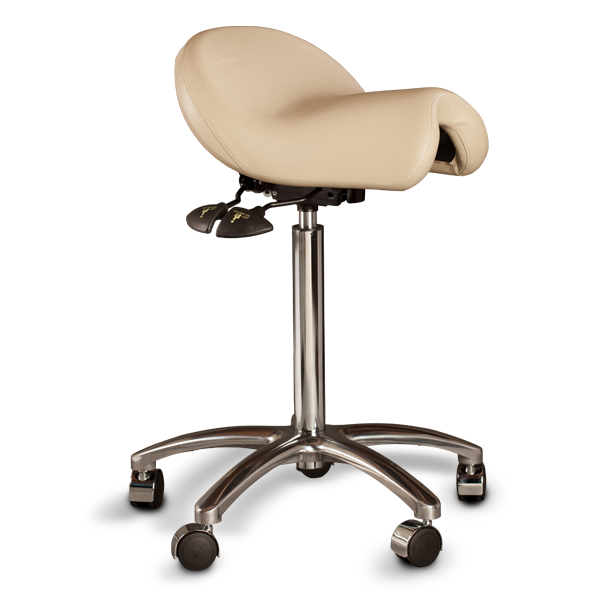 4 Choose a fabric and color: A Bambach Saddle Seat goes with any decor. 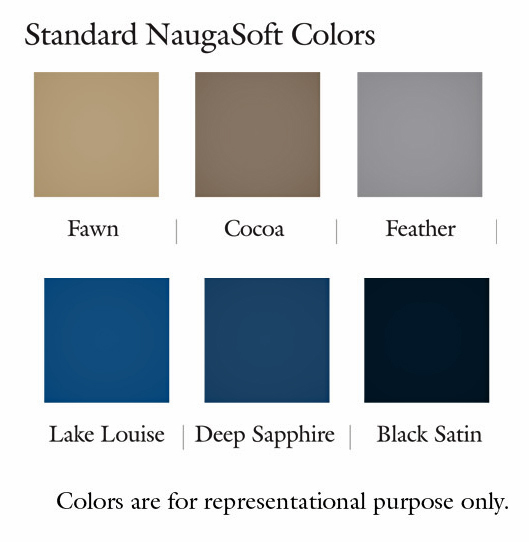 The easy clean vinyl is available in six standard colors. 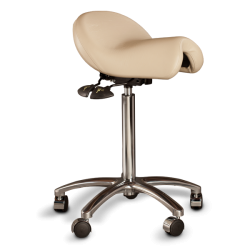 Or choose the rich look and feel of Ultra-Leather. Special colors available upon request. 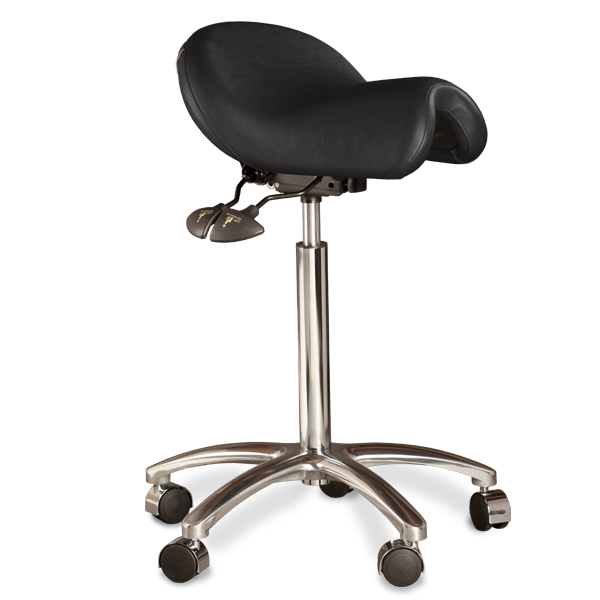 5 Top it off with extras: Saddle Seat accessories, which include backrests, armrests and foot rings, provide for more comfort and functionality without compromising perfect posture. 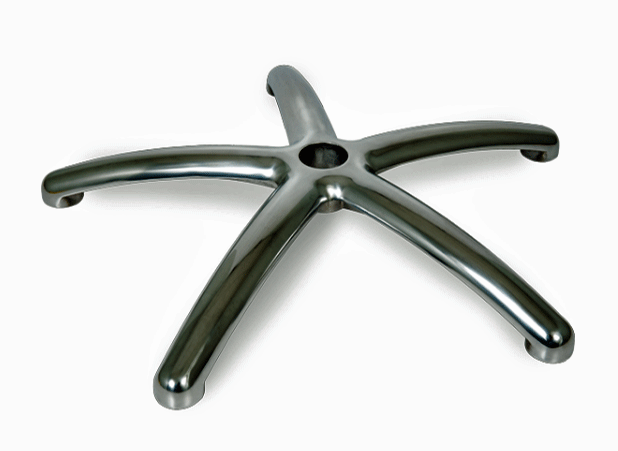 Classic Seat Size: 15" x 15"
Classic Plus Seat Size: 17" x 17"